During the 2014 State of the Union Address on Tuesday, Jan. 28, President Barack Obama spoke about a variety of issues that affect University of California, Santa Barbara students, including immigration. Immigration has become a familiar subject in the UC community, especially following the hiring of Janet Napolitano as UC president. 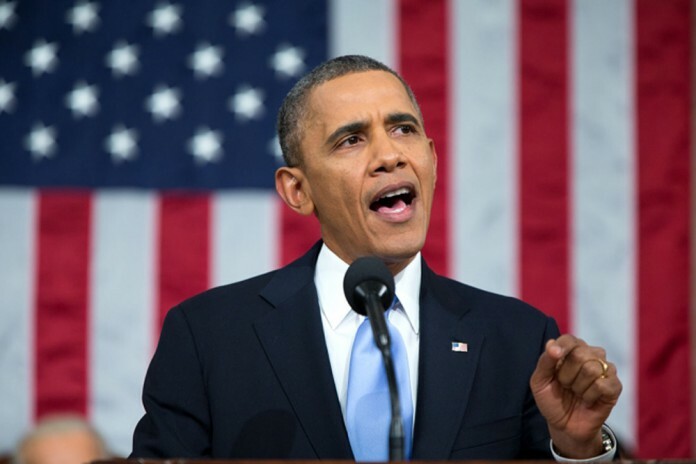 Obama touched on the economic aspect of the immigration issue. One UCSB student, who wishes to remain anonymous, addressed the economic aspect of the immigration issue. In addition to economic concerns, Obama addressed individuals who immigrate to the United States in order to increase their quality of life. “My parents were immigrants, and I believe in equal treatment for all immigrants and citizens of the U.S.,”said a UCSB first-year who wishes to remain anonymous. Other UCSB students were not quite as enthralled with Obama’s stance on immigration and pointed out the hypocrisy in Obama’s words. Gloria Campos, co-chair of Improving, Dreams, Equality, Access, and Success (IDEAS), an organization dedicated to protecting the rights and interests of undocumented students, questioned Obama’s broad statement and passionately defended families who have been affected by the current immigration policies. Campos also questioned Obama’s dedication to the immigrant population. Many other students seemed dissatisfied with Obama’s stance on immigration; however, 80 percent of respondents to a brief survey admitted that they had not watched President Obama’s State of the Union address.